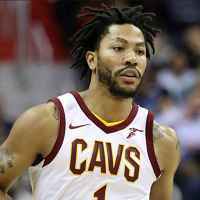 Derrick Rose is a top point guard player in NBA league. He is currently playing for the (Minnesota Timberwolves). The new contract deal with the team made him highest paid star basketball player. Rose selected in the NBA draft of 2008 in round 1 in the first spot by the team of (Chicago Bulls). He played almost eight years of league career with (Chicago Bulls) from 2008-16. Later in 2016-17 season he signed with (New York Knicks) and in 2017-18 season played for (Cleveland Cavaliers). Derrick Rose signed a new contract with (Wolves) for season 2018-19 which means he will re-united with players (Tom Thibodeau, Jimmy Butler and Taj Gibson). Just like other basketball player (Rose) earn big money from the endorsement deals as well as from the base salary. He is still making almost $10 million a year from the Adidas deal of (14 years) which he signed in 2012. In 2011, he won the (NBA Most Valuable Player) award. Three times become the part of All-star team in his career.